A young man, disappointed with his life and his future, takes on a job as a telemarketer, where he has the opportunity to improve his lot – but there is a catch. Boots Riley’s debut feature is an explosive and hugely stimulating affair with a ton of ideas, most of which seem to come off. Feeling fresh and provocative, we meet Cassius, a young man living in his uncle’s garage. Disappointed with his lot and his future prospects, things are looking bleak for Cassius and his girlfriend, a performance artist, so he takes on a job as a telemarketer at RegalView. But things do not get off to a great start, as he struggles to convert sales using the authorised script, until one day, he gets a life-changing piece of advice from old timer Langston – that he needs to use his ‘white voice’. Almost immediately everything changes for Cassius, and he becomes a hugely successful salesman gaining a managerial promotion, but it comes at a cost as he finds himself pitted against his former colleagues who have unionised, while tensions have also increased in his home life. And things take a turn for the worse, when Cassius discovers that RegalView are mixed up in something even more disturbing involving human exploitation. As the films swings from zany and fun to downright weird at times, Boots Riley still manages to convey strong political and social messages on things like capitalism, abuse of power, racial inequality in this original and inventive film. 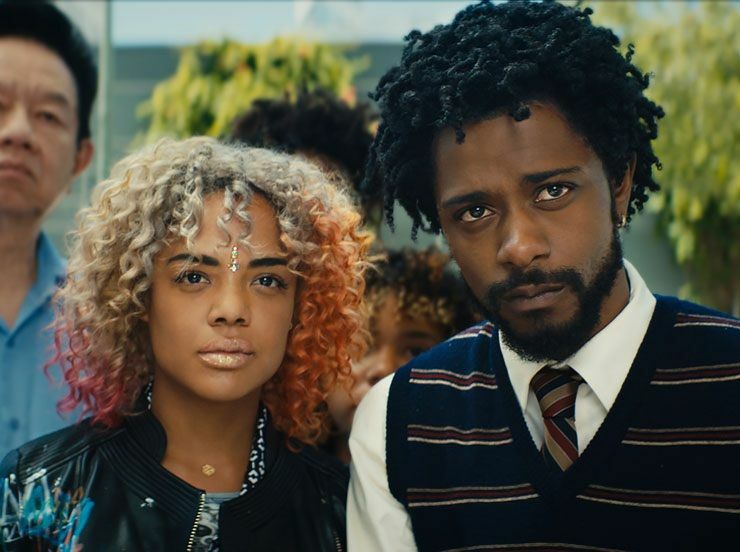 There are strong performances across the board from the likes of Tessa Thompson and Armie Hammer, but the real highlight has to be Lakeith Stanfield, who is hugely compelling onscreen. A fresh, fun and original film with plenty of ideas and a hugely compelling central performance from Lakeith Stanfield.